Dueling with the Yu-Gi-Oh! TCG is fun, as long as some super-duelist isn't cramming your deck down your throat with huge monsters and wickedly powerful cards. It would rock if you could duel with those cards, but they're hard to get - or are they? The Yu-Gi-Oh! 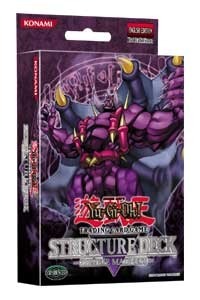 folks at Upper Deck have something new for you - structure decks! There are two of 'em and they're packed full of powerful rare cards, deadly monsters and dueling tips to help you win! Here's the scoop on these new decks. Yu-Gi-Oh! TCG - Dragon's Roar and Zombie Madness Decks! Easy to learn strategies and easy to play decks. Tons more power than any Yu-Gi-Oh! 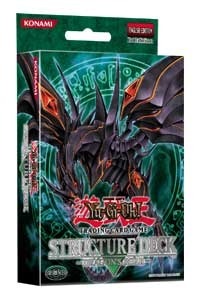 TCG starter deck. Dozens of powerful rare cards. Huge new monsters! One in each deck. A Dueling Guide to help you duel and build your deck. These decks are all you need to be ready to enter tournaments and duel against the best players in your neighborhood. But, which deck should you get? The Zombie Madness deck is packed full of monsters, so many that it'll usually stomp on the Dragon's Roar deck. But, the Dragon's Roar deck is perfect for adding an extra Blue-Eyes White Dragon for more power. So, which one sounds right for you? How about both! Yu-Gi-Oh! TCG Flaming Eternity Sneak Peek News! Want a free Cyber Harpy Lady card? All you need to do is enter in the Flaming Eternity expansion set sneak preview tournament this February 26 & 27, 2005. It should be happening at a card game store near you. Give your fave store a call and, if they don't have the tournament, tell 'em to contact Upper Deck and get one! Yu-Gi-Oh! 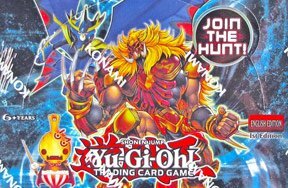 TCG - New Decks, Cards & Monsters for 2005! Get More Yu-Gi-Oh! Card Game News Here! Dragons vs. Zombies - Who Wins? Dragons are way cooler, they'll cream the stinky old zombies. The zombies will swarm all over the dragons and squish 'em!